I don’t know if I’ve mentioned this before but sometimes I really wish I’d given Lloyd a four letter name. It just balances out better against Bear and although I could always shrink Lloyd’s name when using it in a title it then looks super skinny. Haven’t looked again at the logo I put together yesterday I couldn’t help (#standard) to tinker with it and match it up with the main logo used on the book but now I have the worry that it’s not overly clear! What do you think? Do you prefer one over the other? And hey, notice I don’t talk about wishing I had made Bear’s name bigger? Ooh! 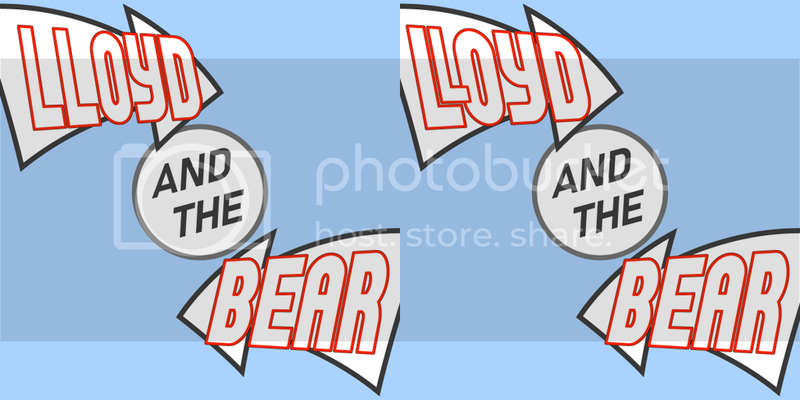 Now imagine LLoyd and the BBear! Erm….. Okay, more soon! Bear hugs!